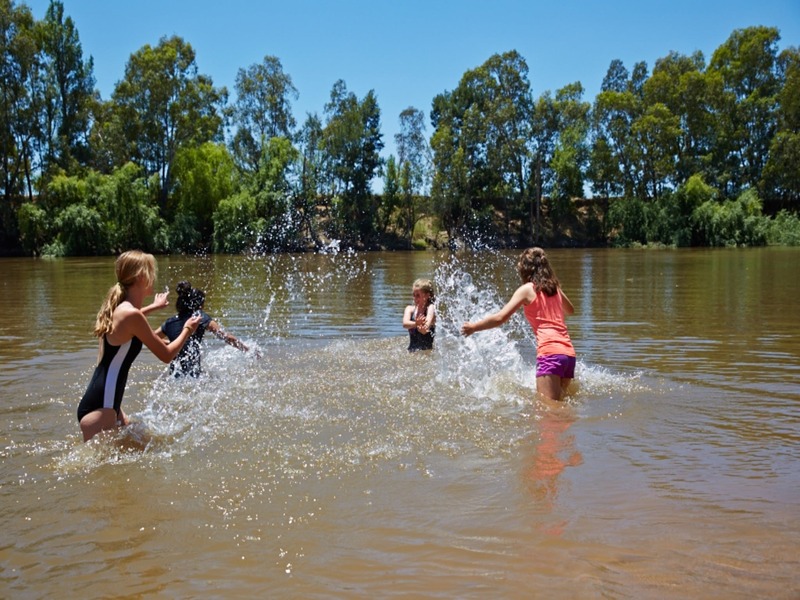 Wiradjuri Reserve is located along the Mururmbidgee River, just minutes from the city centre. The concrete boat ramp is the ideal place to launch your boat and enjoy fishing in the river. The Wiradjuri Walking Track also winds its way through the reserve, alongside the Murrumbidgee. A shanty town, or fringe camp, was established on the Wiradjuri Reserve in the 1930s. The settlement, locally known as Tintown, consisted of numerous huts occupied by both Aboriginal and non-Aboriginal families, dependant on government rations during the Great Depression. Though the town authorities tried to clear the Tintown camp in the 1940s, people continued to live in the settlement until the 1950s. Jack Argus, who was born in 1922 and grew up at Tintown, said: "There were hundreds of huts on both sides of the river, Aboriginal and white families. It used to be known as Tent Town here, then it was Tintown and then later people called it the Bend. You didn’t like to be known as coming from Tintown, so you called it the Flats, because people didn’t know where that was" (Kabaila 1998).